We have had many years of experience in working with different Sponsors, Managers, Directors and Groups of Investors, in establishing a wide variety of investment funds in a number of different asset classes. Our approach will always be the same, and will be to work with the various parties to ensure that the Fund launch and management approach will give us jointly the best possible opportunity to enhance our reputations with the investors who have entrusted their investment capital to the Fund. The Company continues to be the most common vehicle used for Mutual Funds. Although the basic corporate form has been adopted widely, many jurisdictions have legislated for differing types of companies. Innovative corporate structures have been developed to provide for a variety of shareholder requirements. Although the trust is historically an Anglo-Saxon concept, the use of Unit Trusts has in fact been in widespread international use for many years. A typical Unit Trust would involve subscribers contributing funds to a trustee, which will cause the funds to be held and managed on behalf of the subscribers, called unit holders. Unit Trusts have been commonly used where investors have a preference to hold a Unit in a Unit Trust as opposed to a Share in a Company for reasons which may include local tax or regulatory benefits. The Limited Partnership is another major form of investment vehicle used. The Limited Partnership vehicle most commonly used has much in common with similar type vehicles used in the United States of America. In fact, the Limited Partnership structure has proven particularly popular with United States promoters and investors. Regulation: As there is often a lower level of regulation, this makes it easier and quicker to establish and administer an offshore fund. As a result, costs can be significantly reduced. Clearly from the investors viewpoint a lower cost structure should be yield and return enhancing. Tax: Most Offshore Funds benefit from tax exempt status in the jurisdiction in which they are registered. This can result in significant tax savings, which may result in significant investor return benefits. Investors should take advice on their individual tax position depending upon their own relevant jurisdiction for tax purposes. Innovation and flexibility: Many offshore jurisdictions, through their significant experience in the funds business, have developed sophisticated fund products and supporting legal frameworks, which may not be available in other jurisdictions. These products are often innovative in their approach and take a proactive approach to meet the fund industry needs. The Investment Plan should lay out the overall investment strategy, indicating the type and area of investments. The rationale supporting this investment strategy should also be included. The plan should also specify any specific investment policies or restrictions, such as short selling, margin trading and hedging. The sponsor should also define the target investor market and methods of marketing and distribution. Once the Investment Plan has been decided upon, Salamander would work with you to decide upon the most appropriate structure and jurisdiction for the proposed fund. Depending upon various investor issues and taking into account other aspects such as legal, marketing, investor feedback, taxation, regulation etc, an appropriate structure shall be selected. One of the most important documents for the fund shall be the Offering Memorandum / Prospectus (“OM”). The purpose of the OM shall essentially be to set out clearly what potential investors can expect if they invest in the fund. The OM is one of the most important documents of the fund for both the Potential Investor and the Sponsor / Investment Manager. It is important that adequate attention is given to disclosing fully the Risk Factors. All such disclosures should provide protection to Investors and Sponsor / Investment Manager alike. Regardless of the type of structure (i.e. Unit Trust, Company, Partnership) selected, it is necessary to tailor the appropriate fund legal documentation (i.e. Trust Deed, Memorandum and Articles of Association, Deeds etc. ), to meet the specific requirements of the structure chosen. Salamander will, in consultation with you and local lawyers, arrange for the drafting of the appropriate documentation consistent with the OM and local laws. 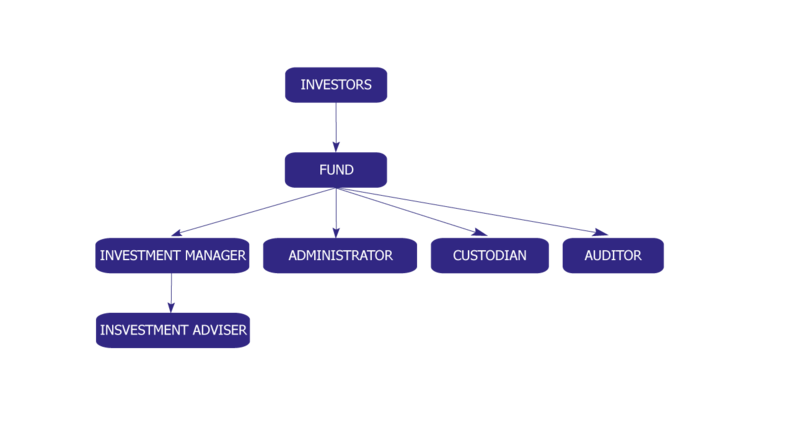 A typical Fund will appoint various third parties to carry out the required functions such as Investment Management and Administration to include Investor Relations, Subscriptions / Redemptions, Net Asset Value Calculations, financial record keeping and accounts preparation, Share / Unit Registrar Maintenance etc. In addition to providing many of the above support services, Salamander can also advise on the drafting of the various agreements and negotiate terms for the fund. Salamander can introduce the fund sponsors to various Auditors, Bankers, Custodians with whom we already have working relationships. At Salamander, we are happy to work with any reputable service providers chosen. The choice of ABCs is an important decision for the Fund in particular from a marketing and investor comfort perspective. Whatever the reason, it is recommended that a structure is periodically reviewed and where necessary appropriate remedial action is taken. In the current economic climate, it is clear that the unwinding of complex structures coupled with the realization process associated with illiquid positions is making the restructuring process more difficult. Investors will expect that those who owe them a duty of care will identify the various issues and seek to address them in a professional manner. We provide various forms of restructuring and realization services and would be pleased to discuss with you what alternatives are available and how we can help with this important process.